Waiting around for a key network server, Switch or Router to fail is not a good way to maintain your network uptime and key resources online – For this reason alone, you need a Robust LAN monitoring tool or Software package that will help you Prevent downtime before it occurs! With the right set of software and tools at your disposal, you will quickly take back control of your organization’s operating environment, and all of the detail you could possibly need will soon be at your fingertips. Perhaps your file-server is running out of space, or your terminal server is running dangerously low on system memory: LAN monitoring can definitely help. Whether you need graphical insight into what is going on in your operating environment, or automated warnings and alerts when something is about to go wrong, there are a wide variety of tools on the market that will help you to get the job done effectively and efficiently. We will be looking at three of the best such tools for keeping an eye on your internal network, and what some of the most important features of each one is. There are many other features that each product brings to the table, each with its own benefits and key elements. This guide will help you to make the right choice based on your own current requirements. 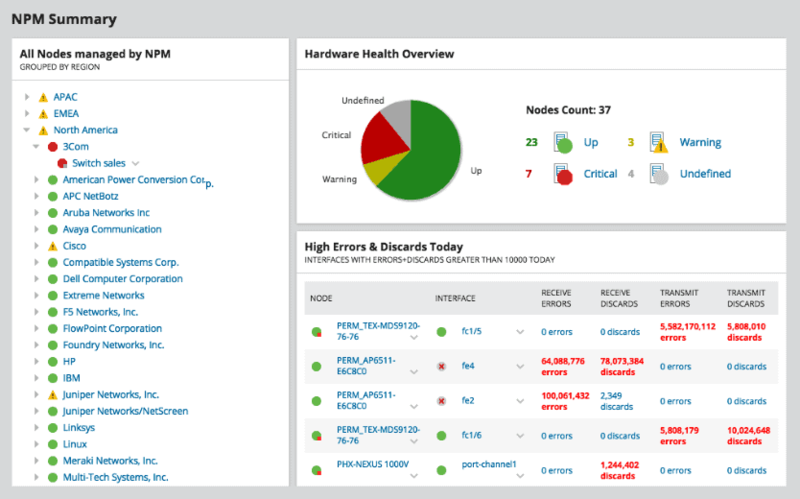 Solarwinds NPM (Network Performance Monitor) is a great tool for businesses that need to enhance their IT department’s monitoring capabilities. 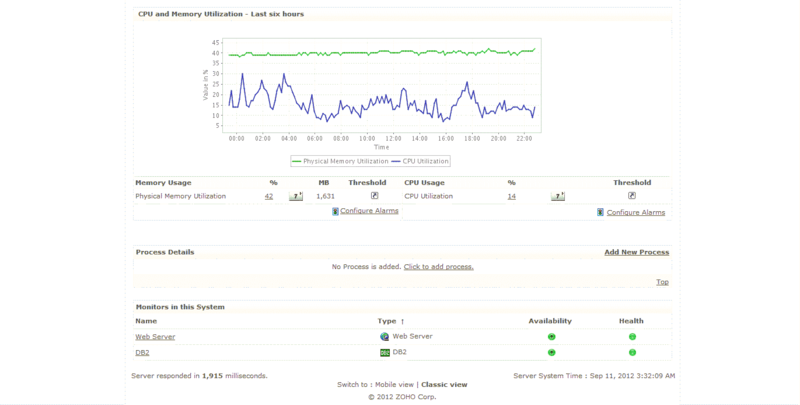 This product has excellent capabilities and is acts as both a monitoring tool and a troubleshooting utility. The entire system is accessible via a clean and intuitive web interface. Installing the software is easier than ever, and thanks to the inclusion of an online installer, users are ensured of the latest version of the installation software whenever they choose to load it onto their monitoring server. The entire process is guided and automated, and all that is needed are the login credentials for your Active Directory server, VMWare administration details and the specific IP address ranges that you wish to scan. Once all of this information has been entered in, the application goes ahead and performs all of the network discovery tasks on its own. Once all of the devices have been discovered, users can customize which elements they want to keep tracking, and can discard unwanted devices from the monitoring list. Users may find that they are overwhelmed by a barrage of information in the beginning, but with careful refinement and setup, any unwanted information can be easily discarded, and the key details of your environment will take on a more visible position in the web console. Virtual Machines can be monitored easily, as well as their system resource consumption and activity all the way down to the host’s hardware level. Information such as Network Transmissions, CPU and Memory utilization are all visible on an easy to read graph. Network activity is dissected into graphs and data, and can tell administrators exactly what activity is happening on the network. Network performance such as latency, Network/Bandwidth throughput and speed is all visible from a single point, making it easy and convenient for viewing. 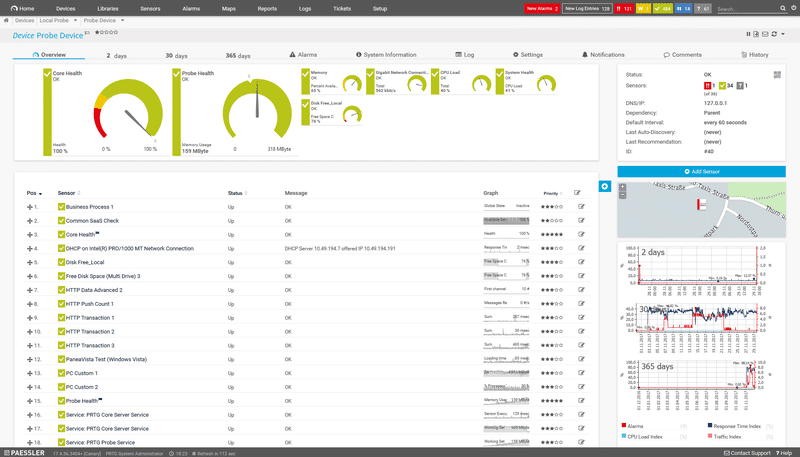 All of these features combined creates an easy to use application that adds value and visibility to the network, and provides essential monitoring tools for IT professionals that need to monitor both big and small networks. Price: Pricing starts at $2955 and a full trial version of the software can be downloaded here. Download FREE Today & Get Started Monitoring! 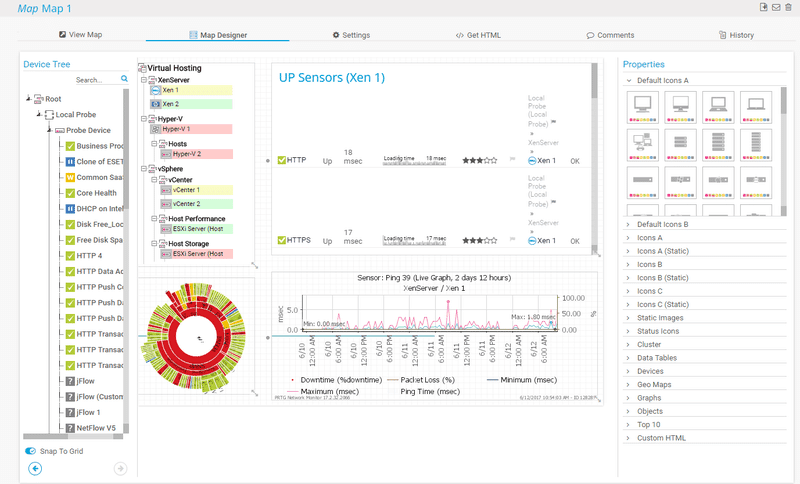 ManageEngine have created a tool that allows you to easily manage your LAN and devices on your LAN: OpManager. Its primary function is that of an infrastructure management tool, and as such will provide you with all of the network information that you could possibly need to maintain and manage your network. The application allows administrators to see data on the network such as server resource allocations, network performance, and application behaviour, and is all accessible from a web based feature that provides a search function for finding specific errors and warnings. From here you can also manage your alerts and fine tune your setup. OpManager has an API that allows it to integrate with other software packages such as Helpdesk and other ManageEngine products, allowing data to flow to and from all of your supported applications. 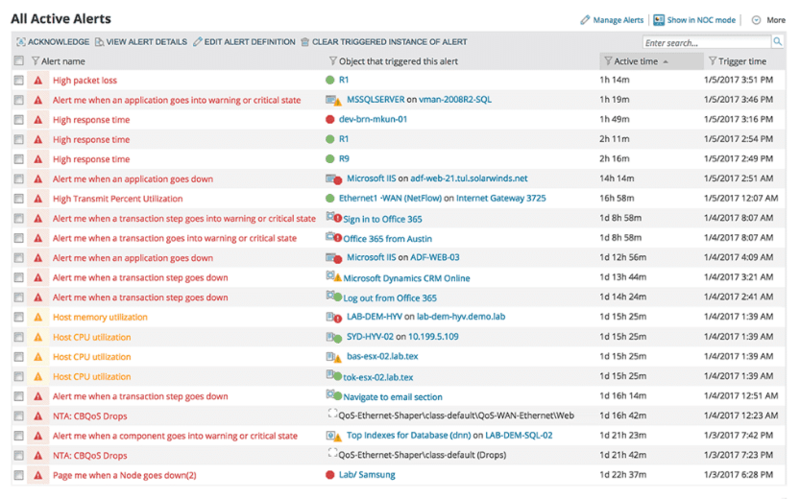 This allows your alerts and triggers from failed devices on your network to log support tickets, send emails, send messages and alert your IT staff about any potential problems. Because this software is designed to help prevent downtime, these messages will often warn you way in advance about any potential problems. Device discovery works flawlessly once the software has been installed. Simply specify the IP ranges that you wish to scan and then sit back while all of the devices are added to your inventory. Once all of your devices have been added, you will have access to them via the web interface, which specifies important information such as server utilization in both CPU, and RAM, and for critical issues such as hard drive space and network activity. 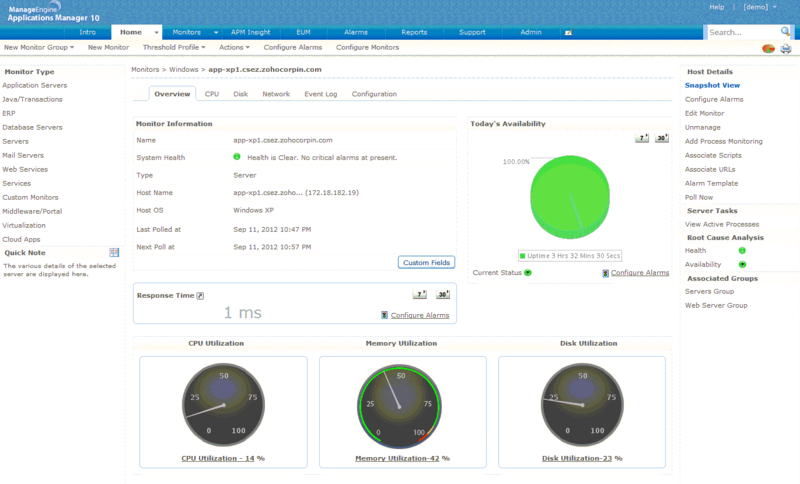 This console acts as a centralized dashboard that is easy to navigate. When an issue occurs, simply highlight the device and drill down into more detail to see exactly what is happening on your network. Price: Pricing starts at $945 for 100 sensors, and if you need more information, or have a bigger environment, then you can request a personalized quote here. Download Today For a Free Trial! PRTG Network Monitor is an all in one monitoring tool that easily keeps an eye on all of your Lan Infrastructure. There tool is an excellent choice for anyone that wants to see how they can monitor their existing equipment on the network, and there is even a free version of the software that gives users a maximum of 100 sensors to work with. The software itself enables users to monitor critical services such as mail server monitoring (specific service monitoring for web, mail, database and virtual servers), and gives you full control 24 hours a day. PRTG operates in three main ways. Firstly, as an integrated solution. This means that it can adapt dynamically to the environment that you operate in. So whether you are downsizing or up-scaling, PRTG can help you to keep an eye on things such as server CPU temperatures and fan speeds, CPU and memory usage, hard disk space and much more. There is automated switch and router failure functionality as well, so if a vital piece of your network starts to malfunction, you will be the first to know about it. Even your virtual infrastructure is taken care of, so VMs are always being watched. The next area that PRTG makes things easier for users is with its alert system. There is email and SMS functionality so that if a server starts to misbehave, or generate errors, then the appropriate member of your team will be notified immediately, even if they are away from the office. This is especially useful for starting the troubleshooting process, as the alerts will generally be able to point you and your team in the right direction as to what the cause of the outage could have been. The third way that PRTG is able to help is with capacity planning. By monitoring your current usage stats on your local servers and infrastructure, PRTG is able to help you identify where your company needs to start investing in greater capacity and capability. Charts, graphs and data are all available via the dashboard, so when it comes time to present your case to the financial director, you will have all of the information that you need to state your case effectively for a budget approval. PRTG is a great tool for monitoring your network, and keeping an eye on the operational aspect of the environment as a whole. 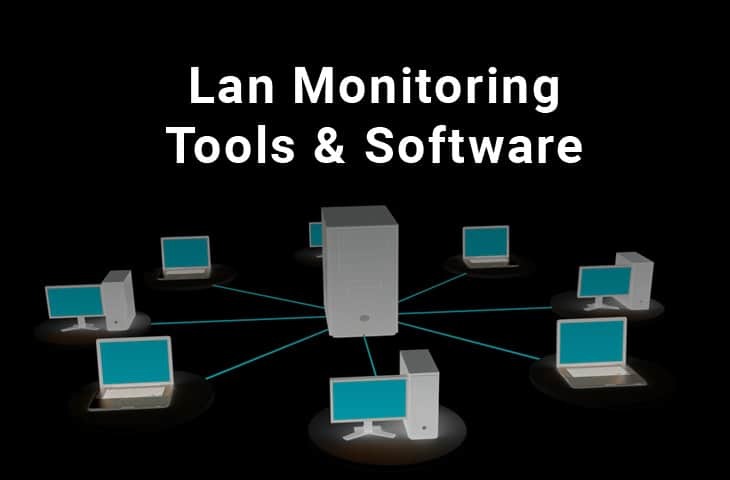 The free version is an excellent testing tool for anyone looking to improve the way in which they support their LAN with monitoring and reporting tools. Price: Pricing is free for 100 sensors, and starts at $1,600 per 500 sensors in the paid version. A price list can be found here. Download Today and Test in Your Network ! Being in control of your LAN Environment means more than just having the tools to fix things when they go down. In order to truly understand the current state of your environment, you need to have full monitoring and reporting tools at your disposal. Whenever a key application fails, or a critical server crashes, or a vital service on a server fails, your company will inevitably start to lose money. The time that you and your team spend fixing problems could be more effectively used with other work, which means that your company loses out on more productivity, which incurs additional monetary losses for your department, and for the company. Monitoring your LAN is the only way to catch problems before they become massive issues, and when you are in control of your network, you are able to anticipate, plan for, and mitigate any issue that could come your way, both with your servers, and your network infrastructure as a whole. Once your LAN Monitoring is in place, you can say goodbye to intermittent server and network appliance outages, and Hello to a more productive and efficient IT department. We suggest you try one (or All) of the Tools listed above and let us know how it goes!